Authentic Japanese tea ceremony starter gift set containing Grade A matcha tea (30g Tin), a hand made ceramic bowl, organic bamboo whisk and bamboo spoon. 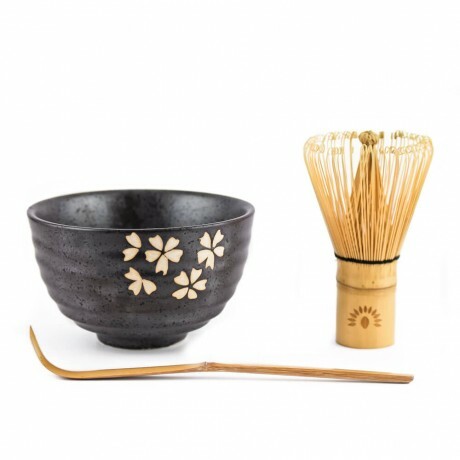 This gift set provides you with everything you need to get started in creating your very own perfect matcha green teas. 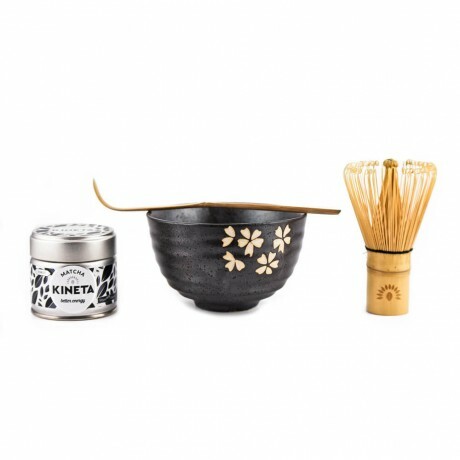 Perfect for the Xmas gift season and a brilliant starter pack for those new to Matcha Green Tea. Kineta is a British business that champion Japanese flavours and high quality Matcha Teas. I have tried loads of different Matcha brands but this is by far the best! Really nice fresh, creamy flavour! I was given this tea as a gift by a friend of mine. I bought this tea for mum who is a huge matcha fan. I bought this tea for mum who is a huge matcha fan. SHe really enjoyed it and I have to say it has converted me too. I will definitely be buying this tea again. Organic, japanese and a really cute tin too. Perfect. I love this tea. It is very pleasant and refreshing to drink and tastes so much better than the green tea bags you can get in the supermarket. I have definitely felt the benefits over the last month. 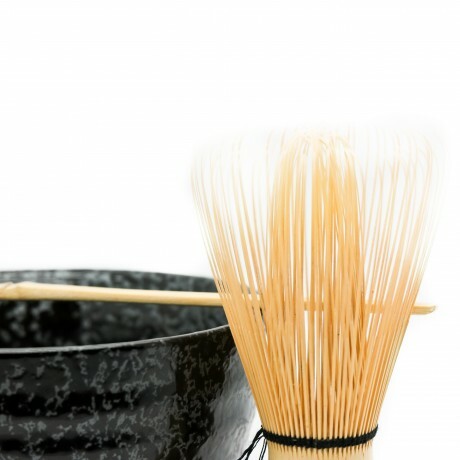 It has now become a part of my daily routine as I have replaced my normal morning cup of coffee with a matcha tea. Then have another at lunch and one when I get back from work. 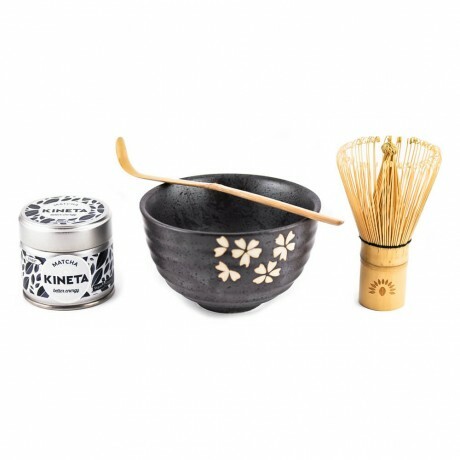 Organic, Vegan and 100% natural, Kineta provides a range of Japanese Matcha green tea powder, gift sets and accessories.